By LUDWIG VON KOOPA - There is this false presumption among people that books are inherently superior. They're not. Maybe I'm overreacting, but it seems like the standard response among people who think they're too smart for a discussion is to just tell the people they're discussing/arguing with to “go read a book” and that's their finishing statement. Done. You can't come back from that. It's over. Read that there book. Are people saying this because it's a meme (well...) or because they really think books are all that? Maybe I am just biased because I'm offended on three levels: One, as a writer on a digital-exclusive platform, I don't get to have my writings printed into a book. Two, as a writer about VIDEOGAMES who takes the position that videogames are the best medium. And three, people sorta tell me to “go read a book” occasionally. Like I'm an unread nitwit. Psh. The logic here is that reading a book makes you more civilised. That doesn't make any sense. So yeah, I'm going to tear apart this idiotic catchphrase and you're welcome to link to this article anytime you see someone say “go read a book” or if they, in fact, say that to you. It even has headers and anchor HTML so you can link to a specific part. ...And don't you dare say “go read a book” to anyone. There are a few fallacies at play here. Let's explore. People have this delusional belief that just because it's published on a piece of paper, it's suddenly better than the stuff written on the Internet, spoken through television, or communicated through a videogame. But we can all point to examples where that just is not true. There are plenty of horribly-written books out there, ranging from The Sun Also Rises by Ernest Hemingway to Hard Choices by Hillary Clinton. Of course, there are some great books out there. Would those great books become less great if they were never turned into a book? I know about the struggles that people wanting to break into the book-writing business have to go through. It's a shame that garbage is published by people with good connections, while the unknowns with some great writing go unheard. “Go read a book” is submission to the book-publishing industry's (nefarious) practices. It parallels the videogame industry in a lot of ways, actually, like the whole physical distribution vs. digital distribution thing. While I'm undoubtedly a physical videogame kind of guy, what “go read a book” proponents would suggest is that somehow the actual gameplay is different depending on how you obtain the game. It's not. The coding is the same. 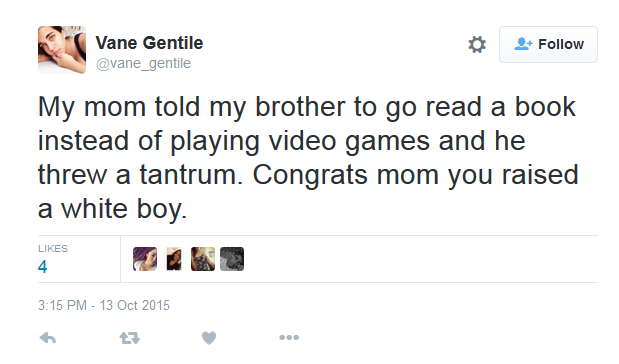 Why not read books instead of playing videogames? This suggests there is something inherently better about reading books. What the hell are you doing with a gaming set up? Don't you know books are better? AND WHAT ABOUT TIMMY?!!? POOR TIMMY HAS BEEN OUTSIDE FOR DAYS WAITING FOR SOMEONE TO PLAY WITH HIM! I touched on this point about public perception when I was writing about the loss of physical instruction manuals in favour of digital ones. And, no, I'm not being a hypocrite here. While I do think physical instruction books are better than digital ones, it's not because they are published booklets, though there are small advantages to those. (That said, while digital things can make you have Computer Vision Syndrome, there is also eyestrain associated with printed books.) My reasoning is that printed instruction manuals are given greater exposure to the end-user and thus given supply-side pressure to be better products. But yeah, there is this widespread public perception that reading books are somehow more “noble” than doing something with a screen, I guess. These are likely the same people who consider playing board games to be a “family activity” but would never describe videogames in those terms. Reading a book doesn't make you a smarter or better person than anyone else. According to this guy, white children are more likely to prefer videogames than reading books. According to a 2011 Pew Research Center study, white people are more likely to read more books per year than black or Hispanic people. Videogames can provide all that and more. Not every videogame does do all those things at once, but not every book does, either. But the fact is, there have been hundreds if not thousands of games that hit every one of those checkboxes, and many people will tell you those same reasons for why they play games. There just is not any unique experience found in reading books that can't be in games, but there are unique experiences in games that cannot be found in books. That said, books might be more effective at just outlining information (though not necessarily at having you RETAIN information) than videogames would be. But this isn't purely a books vs. videogames discussion, it's a books vs. everything else discussion. Black Lives Matter protesters are dumb and don't make sense no matter the topic. But she thinks she's the arbiter of logic. For outlining information, then there are non-book methods of doing it that are just as valid and perhaps more accessible. Such as resources like KoopaTV! And hey, you can learn about proper logic via non-book resources as well. 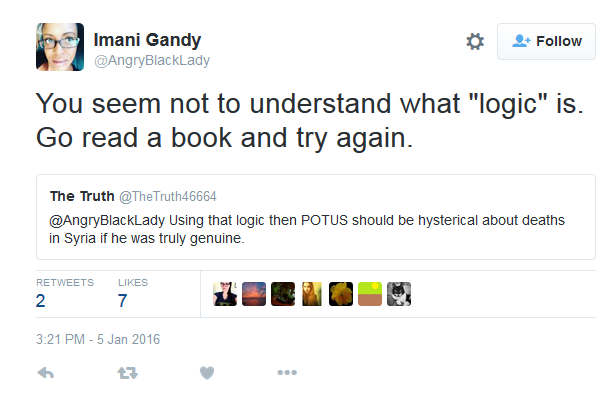 If you learned about proper logic from any medium, you'll be able to recognise that “Go read a book” isn't proper logic. So choose your favourite medium and learn logic. Just don't use the book that this “@AngryBlackLady” used. If you ARE going to go read a book, check out Samantha Lienhard's fiction novellas! They have awful covers, but there's another saying out there that says, “don't judge a book by its cover” that makes a lot more sense than “go read a book.” FULL DISCLOSURE: Ludwig doesn't even read books. That said, he's interested in reading Donald Trump's The Art of the Deal, which he'd get from the library. Ludwig actually did review a book here in KoopaTV. It was Pokémon Gold/Silver: Pathways to Adventure. Do manga count as books? If so, Ludwig also reviewed Phoenix Wright: Ace Attorney Official Casebook: Vol. 1: The Phoenix Wright Files. Ludwig wants videogames to be completely as effective or more as books are in all aspects, including raising children on classic literature. He wants children's videogames in the same vein as classic children's books. Ludwig has confirmed that he's started reading The Art of the Deal. Despite advocating against reading books in this article, Ludwig supports books. Whoa, that shout-out! Hey, what are you saying about my covers? Dernier's cover is AWESOME! As a writer and gamer, I support both books and video games, of course. I've become more aware of the presumption that books are inherently better, and have tried to promote video games as worthwhile. Books do have advantages that can't be easily gotten from a video game (getting the character's direct viewpoint & thoughts, for example, is trickier in a game than when every moment is told FROM that perspective), but the opposite is also true. I'm trying really hard for us to be affiliates, don't you get it?! Wait, what do you mean with the last paragraph? Yes, that second one is quite amusing. It does grab people's attention, though! Hmm, yes, you generally get more hours out of a game, too. By my last paragraph, I mean... if you're reading a book, you can get the viewpoint character's perspective on everything. You see through their eyes. You know what they think of the people around them, how they feel, what they see, etc. Games can give you that through internal dialogue (as Ace Attorney often does), but it isn't as complete as when the character is FULLY narrating with deep point of view. Or more basically: a video game character has to tell you what they're feeling. A book character can show you. So does this fully narrating thing apply for third-person-written books? So through that sort of narrative manipulation, the reader can figure out exactly what's going on in Jinxie's head. But can you not do the same thing in a game? I mean, take something like Silent Hill if you want. You can to a degree... But not to the same level. As a less-extreme example than Jinxie, a negative character or one who's in a bad mood might view everything with a negative slant. That will come through in word choice and description. You can't get that in a game/movie unless the character talks to themselves a LOT. Silent Hill certainly shows you some crazy stuff you can't necessarily be sure isn't in your character's head, but you still rely on his reactions and comments to know what he's thinking. In it's place, I suppose you'll have your own reactions. For example, let's stick with Silent Hill. When you first meet Dahlia Gillespie, the player will have a reaction and form an opinion based on her words, actions, etc. If it was a book, you would see Harry's reaction and opinion as he met her, instead of just his external responses. ...Now I want to challenge game devs to portray the protagonist's thoughts and attitudes in a game as they play as deep as a book would. WII VITALITY SENSOR WOULD'VE HELPED WITH THIS. That's why I said it was a challenge. That looks like a Splatfest idea. 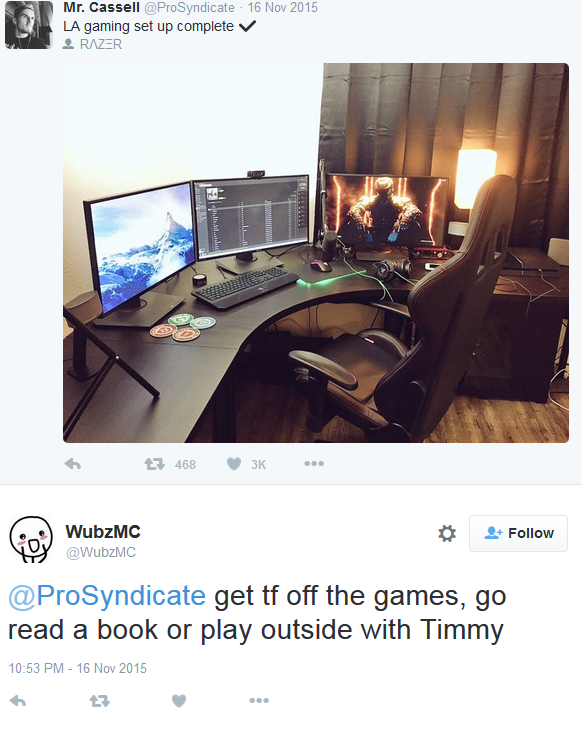 Go Play Outside (with or without Timmy) vs Read a Book. I had to switch the order to be more fitting for the particular Cephalopod Cousin. Hm. I guess I'd pick Read a Book. Marie would probably find a way to lose that one, too. I would assume Go Read a Book would actually be the less popular choice among kids for people meta-ing Splatfest and picking choices with less kids (what people think of as the unskilled players). Marie won the recent Japanese Splatfest rematch with a very low popularity percentage. Has there been an analysis for the shift in numbers between the first Red Fox vs. Green Tanuki Splatfest and and the second? I'd like to hear it. Now obviously Pew didn't research kids, but the trend there is that people are more likely to have read a book if they are younger, or the older you get the less book readers there are. The median for number of books you read apparently goes down as you age until you get retired and have nothing else to do with your time. Red Fox did worse while Green Tanuki did better. Popularity went down for Red Fox and went up for Green Tanuki. Since Green Tanuki had the better win rate the first round it looks like JP players saw how regions like NA are able to overcome such a huge gap in popularity rates and skilled players decided to band together in Green Tanuki because they knew from previous experience that it will be the less popular team. I have a feeling that if Marshmallows vs Hot Dogs was repeated in NA, people will know from experience that Hot Dogs will be less popular which also had the better win rate the first time around but was unable to overcome the popularity points of Marshmallows but with 6x it may overcome Marshmallows this time around. This is why repeated Splatfests are a bad idea as people can maniplate the system even more and have skilled players band together. I think the only repeated Splatfest theme that won't have many people purposely go for the less popular side is Cats vs Dogs because people are very defensive about their pet of choice and will fight for their pet's honor. Are adults more willing to play outside though compared to kids? I guess there is the evil biking, certain kinds of sports and just plain running. So your explanation for Green Tanuki's performance is just pure meta-gaming from every 1 in 20 people? Kids do those outdoor activities too, right? I'm pretty sure they do. Maybe the Hare vs Tortoise idea I have will have Tortoise's side (Marie's side) have the less popular percentage. That is unless the kids (seen as usually less skilled players) will see that the Tortoise won in the actual story and will bandwagon on that side all because of that. ...I think every kid knows that the tortoise won. Ant won in the original story Grasshopper and the Ant and look what happened in Japan's Splatfest. Team Grasshopper's side won both popularity and skill. Also just for fun I made a Splatfest script for a hypothetical Splatfest if the theme was "What Flawed Response Will You Use?" Callie: I hope you all have your wits sharpened. Marie: And your battle strategies too. Callie: Do you like to yell to others go outside and play? Marie: Or tell them to read a book? I think if you read more books, Callie, you would say far less absurd things. Callie: And you would be much less grumpy of you went outside and played more often. Hey, Japan and America have different value systems, and obviously a different meta-game if you get to win both popularity and skill so often. 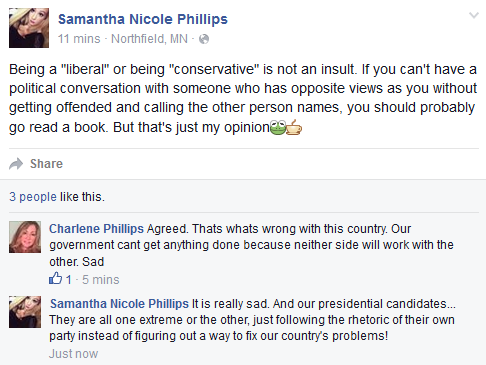 If there was a genuine interest in representing and advocating your position, you'd just explain it instead of giving such a vague suggestion. I love reading books and playing videogames *^* But you need to read in both. YOU HEAR THAT SAMANTHA I GOT A LEAD FOR YOU. Yay! :D I hope you enjoy them. *cough* Though note, none are full BOOKS. I haven't published anything longer than a novella (yet). So should I remove them from the footer for not being full BOOKS? No, because you did call them novellas. But should they be in the footer of an article about books? If someone says “go read a book”, would “I'm reading a novella right now!” be a valid comeback?